Every year I try to obtain at least one local heirloom variety per year for preservation. 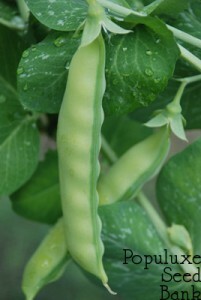 To tell you the truth, I’m not a huge fan of peas, but I do like snow peas as long as they’re fresh. 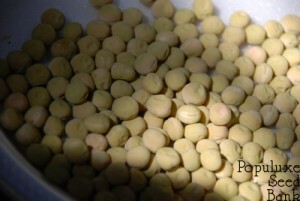 The lady who sold them to me told me that these peas were brought by “Japanese immigrants during WWII”. Now, this is just entirely my speculation, but I have an inkling that they were actually brought by Japanese Internment Camp prisoners. There was a sizable internment camp in the area, and considering the timing of these peas arrival in the area, I imagine that this was how they were brought here. These peas had a tough start this year, but then again, so did everything. Another brutal cold spring (even too cold for cool-weather crops to grow happily) followed by the Kootenay trademark of all of a sudden getting really, really hot. Since snow peas are a cool weather crop, I thought they were goners since the temperatures increased to 30C+ really quickly. But, local heirlooms will never cease to amaze me. It’s not surprising an heirloom from the area would thrive under these conditions, that would otherwise leave other snow peas sad and decrepit. The peas germinated quickly, but under the cool temps and the sheltered location I put them in, they grew quite slowly, doing nothing for almost two weeks. Then, when it warmed up all of a sudden, the peas took off. They absolutely thrived in a part-shade location that was still reaching at least 25C every day. The lady who sold them to me said the vines can get up to 7ft in height. Mine didn’t get that high (mine topped off at about 5ft), but I think that might be due to the wacky weather more than her over-exaggerating how large they can get. The leaves were beautiful as well (see below image). I’ve never seen a snow pea with variegated foliage like these have, and in fact when I first noticed it I thought it was an attack of powdery mildew since it had been so wet and damp that spring. 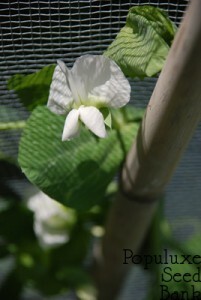 As a snow pea they were really delicious, very sweet and really crisp. Definitely the best snow pea I’ve ever had. But what stunned me the most about these was their tolerance to heat. They’d make an absolutely fantastic addition to any garden that is in a hot climate, but I did find they like to be kept relatively moist, as they got very unhappy when I didn’t pay enough attention to watering. They did really well in part shade, but I have a feeling they would reach their 7ft potential with no problem in full sun. Absolutely delicious, and reportedly (although I didn’t try this myself because everything I didn’t eat young went to preservation for the seed bank!) they make a really great split pea soup.